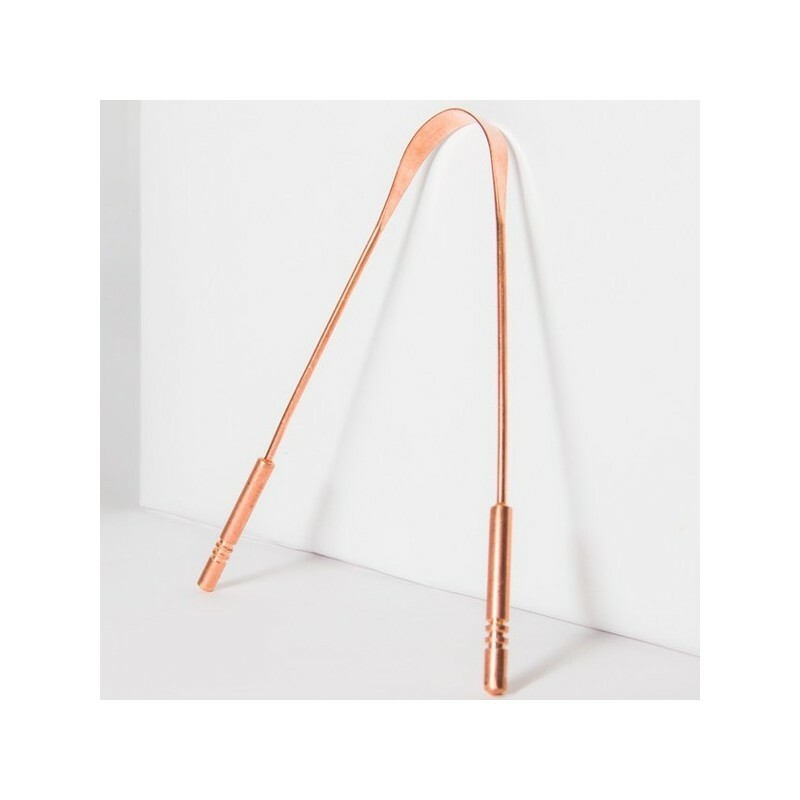 This copper (cuprum) tongue cleaner is used to scrape bacteria from your tongue, improving oral health and increasing taste bud sensitivity. Products that are long-wearing and reusable save money and resources in the future. Freshens breath and improves taste bud sensitivity. Great for bad breath sufferers. Tongue cleaning is an ancient Ayurvedic oral detox practice, removing bacteria from the back of the tongue. Pure copper is antimicrobial, helping to rid your mouth of bacteria. Use the tongue cleaner in morning on an empty stomach. Relax tongue, and position the tongue cleaner over the back of tongue. Gently scrape forward, and spit out the build up in the sink. Rinse the tongue cleaner under tap each time you scrape it over your tongue. Repeat this 5 times. Use daily for best results. 14.5cm length x 8cm (adjustable width) / Pure copper. Browse our natural Toothbrushes & Toothpaste. This tongue scraper has better shaped side handles that some of the other copper versions on the market. It has actual wider handles you can grip rather than just culed around bits at the end of the copper strip. Still a rather pricey product compared to others on hte market, but the bonus is being plastic free. Really impressed with this product and would recommend it.